Got a big idea but don’t know where to start? 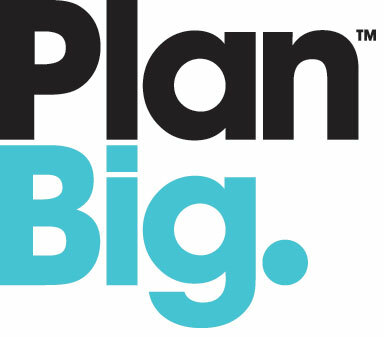 PlanBig.com.au is a website where anyone with a plan, project, idea or dream can find the resources, expertise and support to help make their plan happen in the real world. Designed by Bendigo and Adelaide Bank, PlanBig draws on the assets of social networking and strength in numbers to enable people to share information, build partnerships and support each other to make their plans become reality, from the smallest plan to the largest project. Facilitating community success has been at the heart of Bendigo and Adelaide Bank since its beginnings in 1858 and PlanBig is an online extension of this – bringing communities together virtually to share ideas and achieve real outcomes. The site houses plans that are underway, organised by type and location, as well as successful plans to inspire newcomers and provide useful insights to get the best results. Anyone can PlanBig. It’s free! You can sign up at any time to plan your project with the help of others, or simply support other people’s plans. It’s a great tool to help build a community around your brand or idea, promote events or get more people involved in a project. Whether you’re involved with business, charity, environment, health, arts, sport, youth or something else, there’s a place on PlanBig for you. And because you’re sharing your idea with an online community, it has the chance to evolve and grow in ways you may never have thought possible. One of the most challenging things with any plan can be knowing where to start, however, PlanBig has a range of Help Cards available on the site, created by experts on a variety of topics, which can help people propel their plans or overcome roadblocks. And of course, Rhian’s plan, Becoming Thirty!